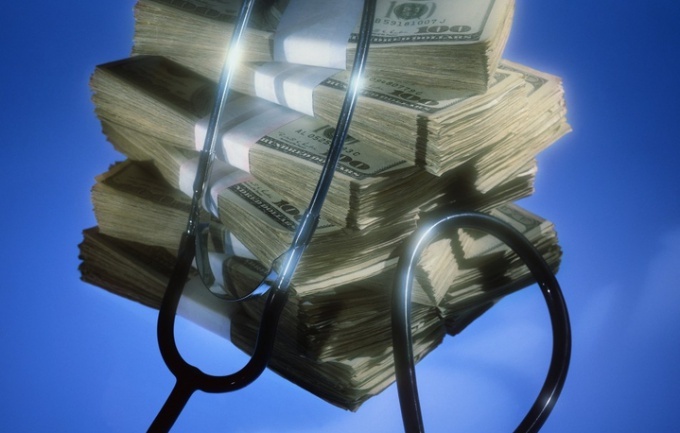 Filling in the Declaration form 3personal income tax - a mandatory component of receiving a tax deduction in connection with the cost of treatment. The best way to create this document to use the latest version of the program "Declaration" developed by gnivts FNS of Russia. Collect all the documents proving your income and paying personal income tax with them last year. If the income is obtained through tax agents (at work, civil contracts, from the sale of property to legal entities), each of them must take help form 2NDFL. This document contains all the data necessary for inclusion in the Declaration. The income on which you must pay tax yourself (from the sale of property to individuals, rental property to rent, received from abroad, etc. 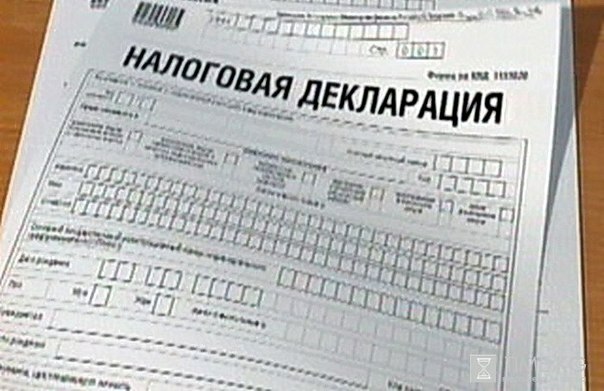 ), confirm contracts or receipts, Bank statements and payment of tax - receipts, and checks of the savings Bank. Download on the website of the Chief scientific-research computing center of the Federal the latest version of "Declaration" (Declaration in 2011 revenues 2010 actual Declaration 2010" with the latest changes on the day of preparation of the document). If this program is already installed on your computer, check the newer version. And in the presence update or reinstall. Requirements for returns may vary over time, and each fresh version of the program reflects the most current changes. All sections relating to income and deductions on other grounds, filled in the same way as in any other case. Those that are irrelevant to you (for example, income from abroad, if you don't receive it, or the residue, the rights to which you are not) just don't fill. Other - on the basis of documents confirming the income, taxes and expenses giving entitlement to a deduction. The program interface is simple and all necessary data for inclusion in the Declaration in these documents. To populate the section on the deduction treatment click on the "Deductions". In the upper right corner you will see three icons. Click on average (in the version of the program, current for summer 2011 - with a red tick in a white box), and you will see the page of the social tax deductions. Check the box next to the proposal "to Provide social tax deduction", then in the corresponding field, specify the amount of the cost of treatment and, if relevant, expensive treatment. If there are other grounds for social tax deductions, complete the fields intended for them. After filling in all the required sections give the command "Save" and select a folder on your PC where should you place it. Ready Declaration , you can pass the tax through the Internet via the portal of state services, if technical capability for this is in your inspection, or printed out and together with other documents to include in your inspection personally or to send by mail. With the purchase (construction) of residential property (apartment, house, room) citizen has the right to grant the property tax deduction. This means that the government will return part of the money, by returning the tax to incomes of physical persons (personal income tax) or will not deduct this tax under a certain amount. Filled the tax Declaration under the form 3 personal income tax. 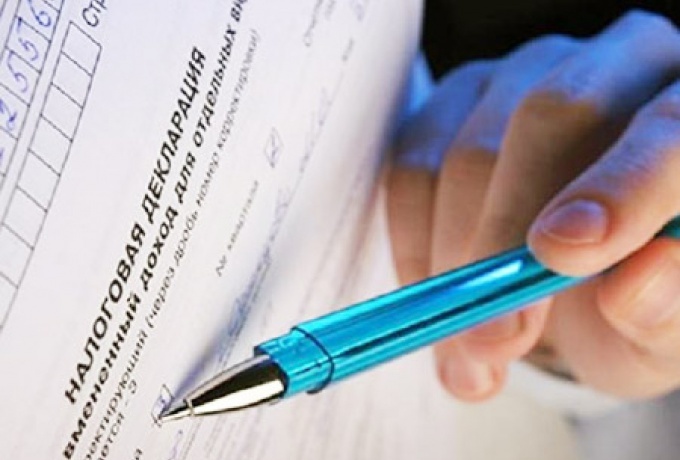 The application for refund of personal income tax in connection with the acquisition costs of property, with indication of requisites for transfer of the sums of return. A certificate from the accounting Department at the place of work of the amounts accrued and withheld taxes for the year on form 2-NDFL. Copies of the documents confirming the right to housing (certificate of state registration of rights, the agreement on the purchase of housing, the instrument of transfer of the apartment, credit agreement or loan agreement, mortgage agreement, etc.). Copies of payment documents confirming expenses on the acquisition of property (receipts to credit orders, Bank extracts about transfer of money resources from the account of the buyer to the seller, commodity and cashier's checks and other documents). Documents attesting to the payment of percent on the target credit agreement or the loan agreement, the mortgage agreement (extracts from personal accounts, certificates of the Bank about the paid percent on the loan). A copy of the marriage certificate (if housing is purchased in joint ownership). A statement on the distribution of property tax deduction (if housing is purchased in joint ownership). Download from the website the tax office and install the software for filling return for the required year. Open the program. The program opens the tab "setting conditions". Fill: the Declaration type of inspection (choose from the list), reporting year, a sign the taxpayer's available income proof of the reliability. Go to the tab "details of the declarant". Fillable personal data. Click on the image "house". Turn to fill ' (as in passport). In 2013, the indicator "the Code on OKATO" is replaced by "Code OKTMO". On the website of the Federal tax service of Russia hosted email service "Know OCTO,". It allows you to determine the code of OCTO code OKATO, by name of the municipality, as well as using dictionary data ", Federal information address system (FIAS)". Go to the tab "Income received in Russia." Next to the window "source of payment" click on the "+" sign and fill in the employer information (information taken from reference 2 personal income tax). Similarly, fill in the table with income. Click on the "+" and fill in: income code amount of income deduction code, deduction amount, month income. Information taken from reference 2 NDFL. Fill in the column under the table income. The total income will be automatically calculated by the program. Taxable the amount of income tax amount calculated, the amount of tax withheld - fill yourself (information from reference 2 personal income tax). Go to the tab "Deductions". Put a tick in the box "to provide a standard tax deduction", you specify what deductions are available to us (information from reference 2 personal income tax). Click on the image "house". Populate the data on the acquired housing. Click on the "go to input amounts". The filling of the form of ownership and share of the marital property. - joint property. No matter who is recorded in the certificate as the owner if the apartment was acquired during the marriage, joint property is recognized in accordance with the Family code of the Russian Federation (article 33, 34 SK the Russian Federation). As a General rule, the deduction shall be divided in equal shares (50%), but spouses have the right to redistribute it in any proportion, giving the tax office a Statement about the distribution of the shares (in any form). Fill the costs of buying a home and repayment of the loan. The size of a property deduction. For housing acquired before 1 January 2014, there is a limit of total deduction on the property in the amount of 2 000 000 rubles. This means that if you spent more than this amount, it will still get the deduction in the amount of 260 000 rubles (13% of 2 000 000 RUB.) and that this amount will be divided between the spouses in the case, if the housing is acquired during the marriage. For housing, acquired after 1 January 2014, limiting the total deduction of 2 000 000 RUB applies to every citizen. That is, the husband may get a deduction with 2 000 000 (260 000 RUB. ), and the wife may get a deduction with 2 000 000 (260 000 RUB.). In addition to the deduction on the property, the citizen is based on the deduction on interest payment of loan taken for the acquisition (construction) of housing. The deduction for loan interest is distributed in the same proportions as the deduction. That is, if the spouses filed an application to the allocation of the deduction to 75% husband and 25% to the wife, the deduction for interest will also be provided in the amount of 75% husband and 25% to the wife. If you previously filed the Declaration of 3 personal income tax, fill the corresponding columns. Deduction on the previous years returns - enter the sum of all previously filed returns (the amount you can be reimbursed for personal income tax, not the amount of the refund). The amount transferred from the previous year of the last filed return. Costs repayment of loans filled in the same way. Click on the "view". Check, print, sign, and file tax with all necessary documents. Property tax deduction (for the purchase of apartments and the payment of interest) can be granted before the end of the tax period. For this you need to contact the tax statement to receive the notice of right to a property deduction with the application copies of the documents confirming this right. After 30 days of receiving the tax notice of the right to property as a deduction and give it to the employer. On the basis of this document, the employer will not withhold income tax, that is, the salary will not be taxed 13%. 1. Between spouses can be a marriage contract drawn up that specifies a special mode of ownership. 2. The deduction does not apply in the following cases: if the payment of housing produced at the expense of employers or other persons, of maternity (family) capital, and also at the expense of budget funds, and if the transaction of sale is concluded between interdependent persons (spouse, parents (including adoptive parents), children (including adopted), full and half brothers and sisters, guardian (Trustee) and ward. Keep copies of all filed your returns, it will make it easier to fill later. Note 14.02.2015 in force the Order of the FTS of Russia, which approved a new tax return form 3-pit. Return for the 2014 tax take a new form to fill already appeared on the website of the tax. Purchasing residential property in the form of a private house or apartment, not everyone knows that has the right to receive the property tax deduction, which is 13% of the total amount spent on the purchase of the dwelling and its finish. The only limitation is the amount from which the deduction relies, should not be higher than 2 000 000 rubles. But to get a refund from buying property, you must fill out a Declaration on personal income tax property deduction and attach relevant documents. - to turn to specialized firms that provide services of this kind, for a certain amount of fill in the Declaration. - check the data that is shown in the Declaration of conformity and print the document. In order to fill the income tax Declaration on a property deduction in paper form, you need to decide on sheets that relate specifically to the property tax deduction. Compulsory subject the title and section number 6. Another unique aspect of the drafting of the Declaration is to begin to fill her at the end, with the exception of the title page. 1. The title page, which shall include the following data: tax authority code, country code, category of taxpayers, personal data, passport number and the code was, the status of the taxpayer and the address of his place of residence, contact details, number of pages of the document. 2. List jf1 contains the section "Revenue by month" that you want to make the total figure of all revenues by month and section Calculation of standard tax deductions", which includes information on when and to what extent was the standard deductions. 3. Sheet And displays information about the sources of income in the Russian Federation stating the name of the company which accrued the income, remuneration, and amounts of withheld tax. 4. Section 6 should contain information about the code of the budgetary classifier that lists tax and territory code according to OKATO, where he was paid. 5. Section 1 is a summary of all declarations and includes data on the number of all completed worksheets. After I filled in the personal income tax Declaration on a property deduction you must attach the relevant documents, which confirm expenses incurred and to send all the documents to the tax office for refund of personal income tax.